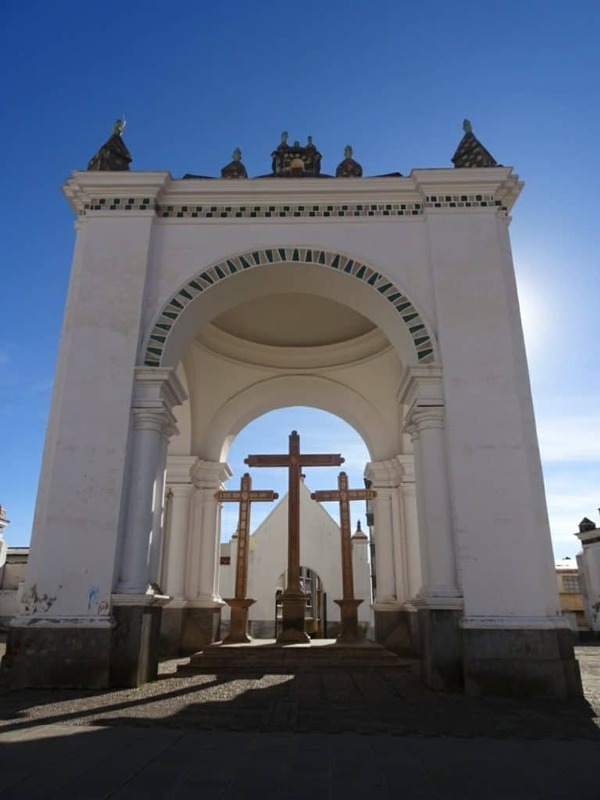 After staying in La Paz for a few days, I continued my Bolivia travels by visiting Copacabana on the shore of Lake Titicaca. I didn’t know it yet, but this little town near the Peruvian border would prove exactly what I needed after that stressful week in La Paz. 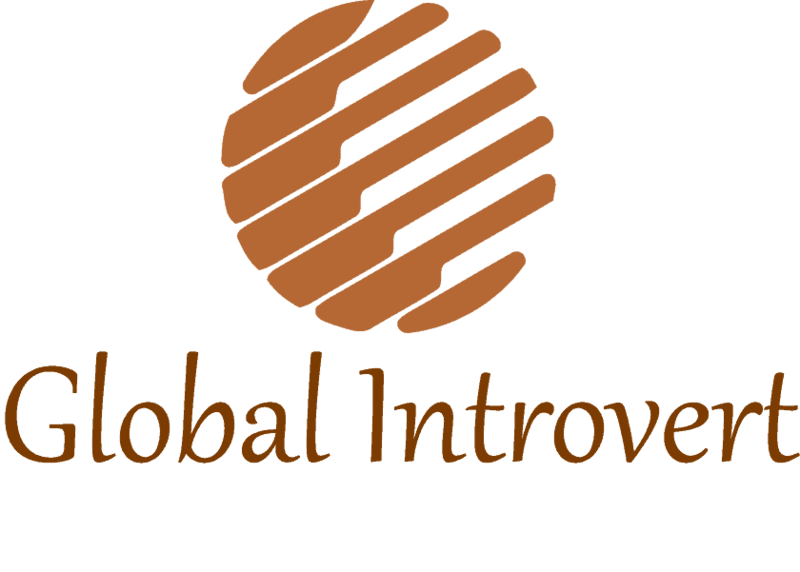 Moreover, it makes for the perfect introvert travel destination. Here’s why. 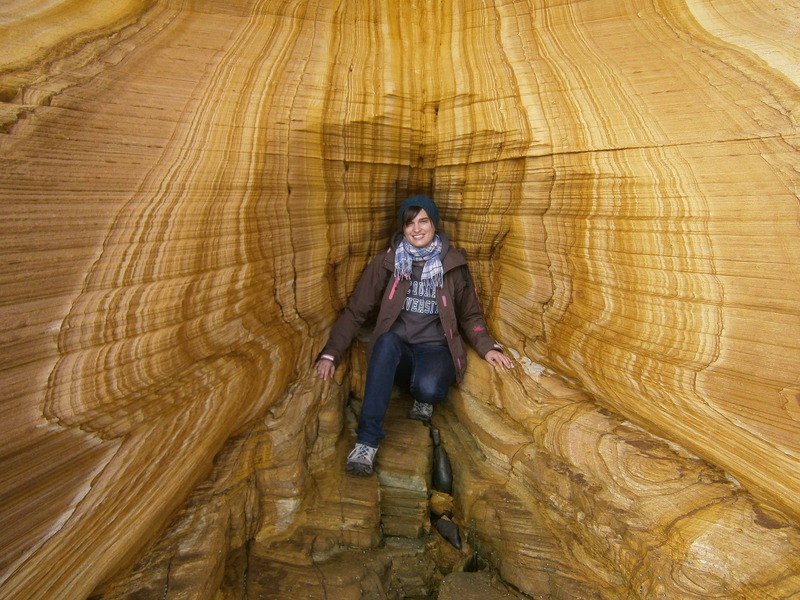 So far, Bolivia had not allowed me much downtime. While in La Paz, I was sick, overworked and sleep-deprived. However, I wasn’t really aware how bad a shape I was in until I got off the bus in Copacabana. The three and a half hour drive from La Paz had somehow transported me not just to another location, but into another universe. While La Paz is crowded and chaotic, Copacabana was quiet and peaceful. 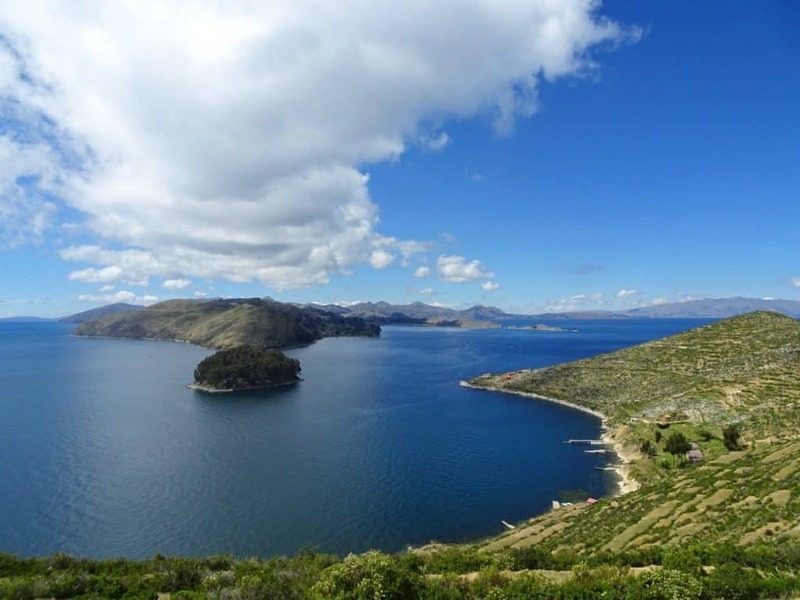 There was no traffic, only a few people, and the shore of Lake Titicaca gave it all an almost paradise feeling. I knew right at that moment that I didn’t want to leave this place anytime soon. 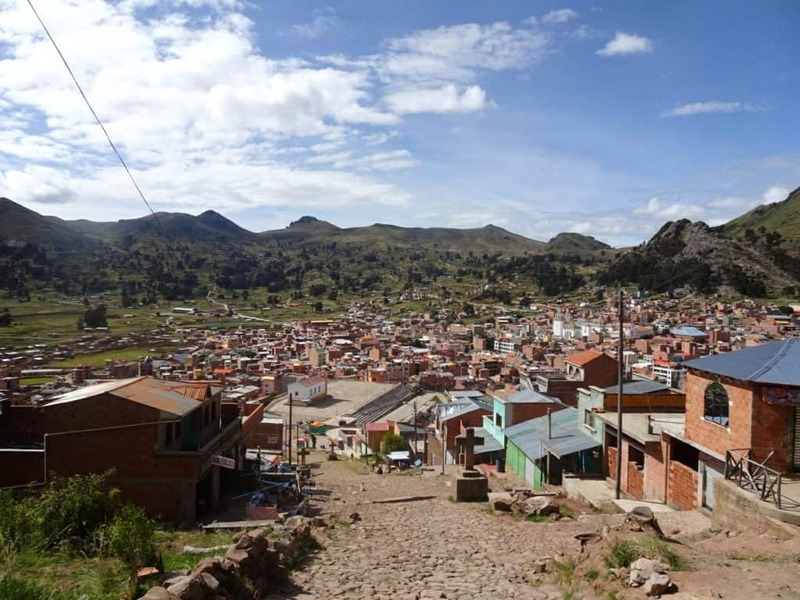 Copacabana may be the main tourist destination on the Bolivian side of Lake Titicaca, but it is still tiny and quiet enough to never feel overrun. If you leave the one street that leads down to the harbour and hosts mainly tour companies, restaurants and souvenir shops, you meet very few tourists at all. 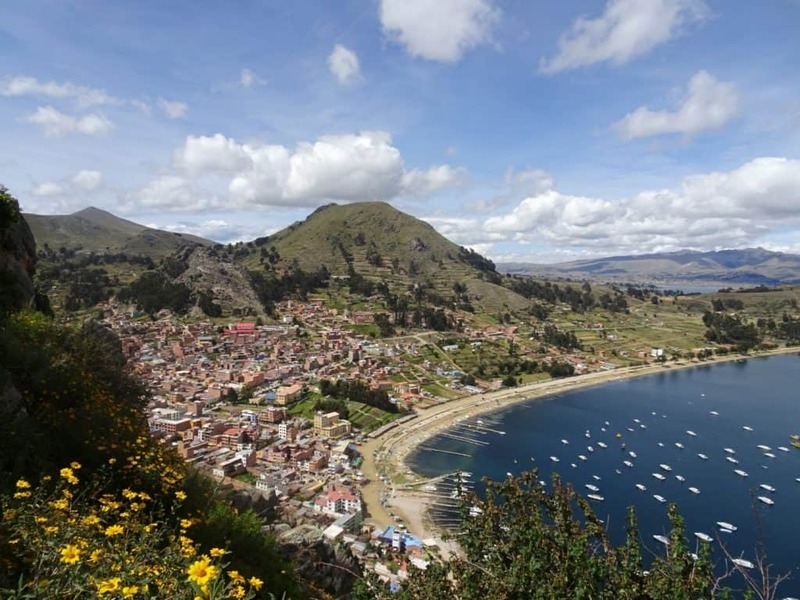 Plus, the landscape around Titicaca is simply stunning. Lush green hills and clear blue water – what do you need more? Copacabana has exactly one tourist attraction: it’s the gateway to the Isla de la Sol. There are boats going there every day at 8.30 in the morning and three in the afternoon. You can also stay directly on the island, there are enough accommodation options. Or do as I did and go for a day trip. If you take the morning boat you have plenty of time to explore the island before having to be back at the harbour for the return to Copacabana. 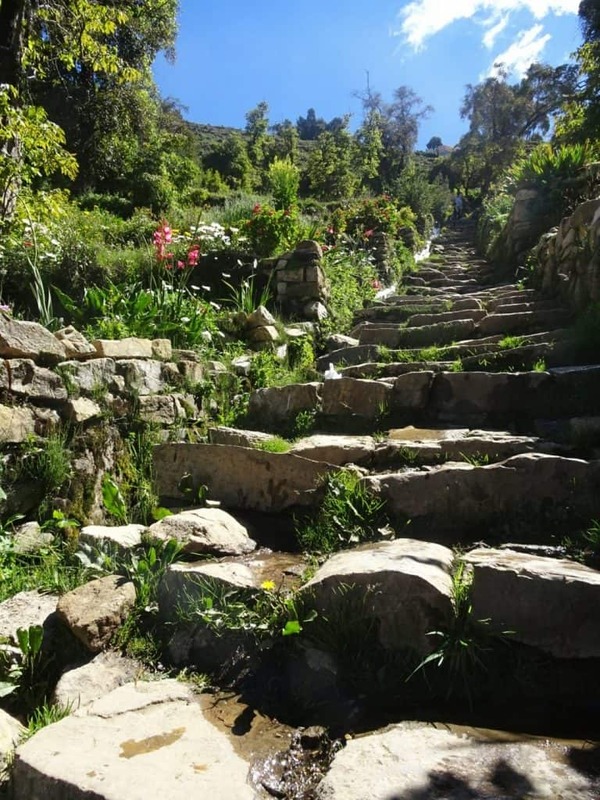 Despite being the main tourist destination of the area, Isla del Sol felt just as peaceful as Copacabana – maybe even more so. 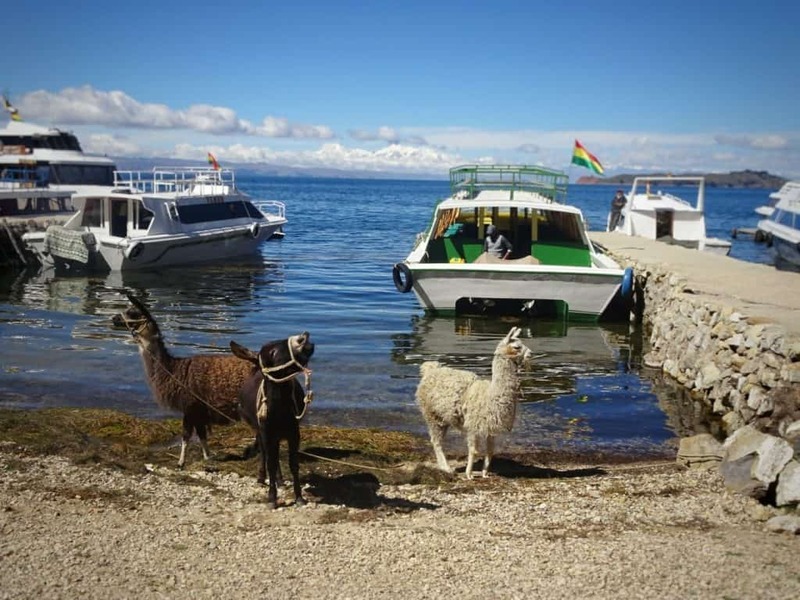 There are no cars on the island, and the locals use donkeys or alpacas to transport their goods, so don’t be surprised if a group of them crosses your way in the streets. 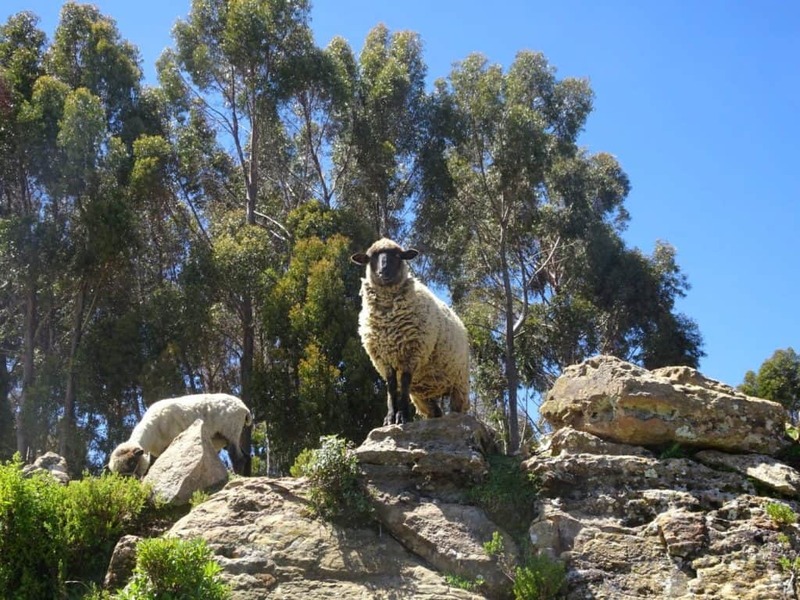 Once you leave the town where the harbour is and stroll over the island, you hardly encounter anyone except sheep and goats. Other than that, you have the place for yourself. It really doesn’t get better than that for an introvert in dire need of recharging her batteries. When I had explored most of the Southern part of the island (which is the only one currently open to visitors) and some of its ancient Inca ruins, there was still time for a coffee in one of the restaurants on top of the hill, overlooking the island and the lake. It was hard to drag myself away from this panorama. 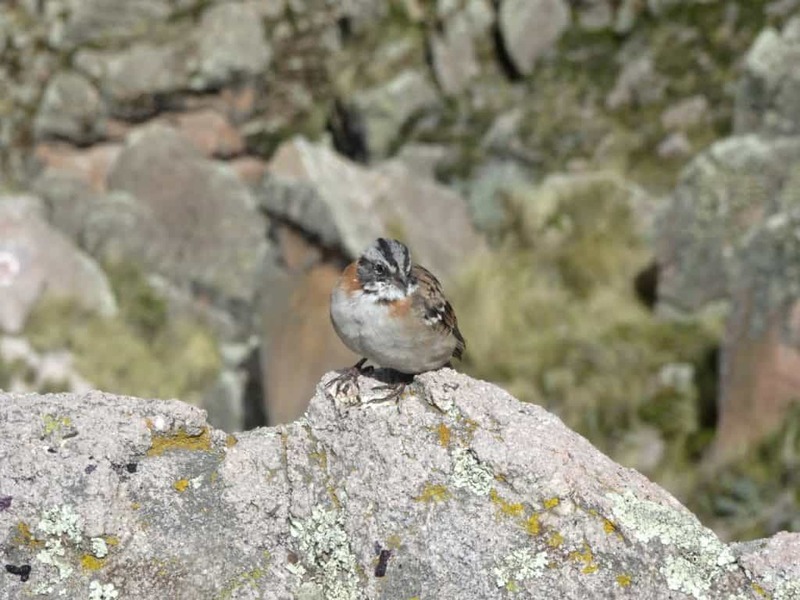 Once you’ve visited Isla del Sol, there isn’t much left to do in Copacabana. Which suited me just fine. 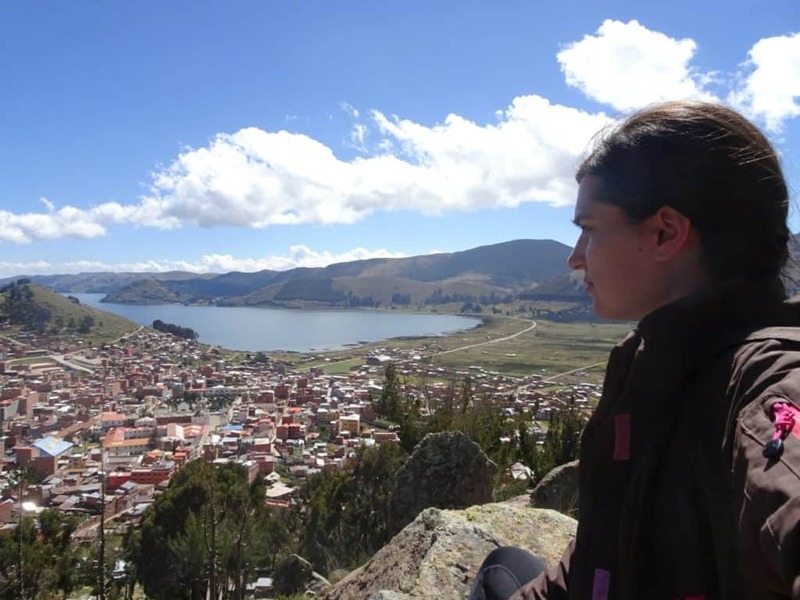 I spend one morning climbing Cerro Calvario, the hill next to the harbour, and just sitting up there looking down on the lake for a while, enjoying the solitude. 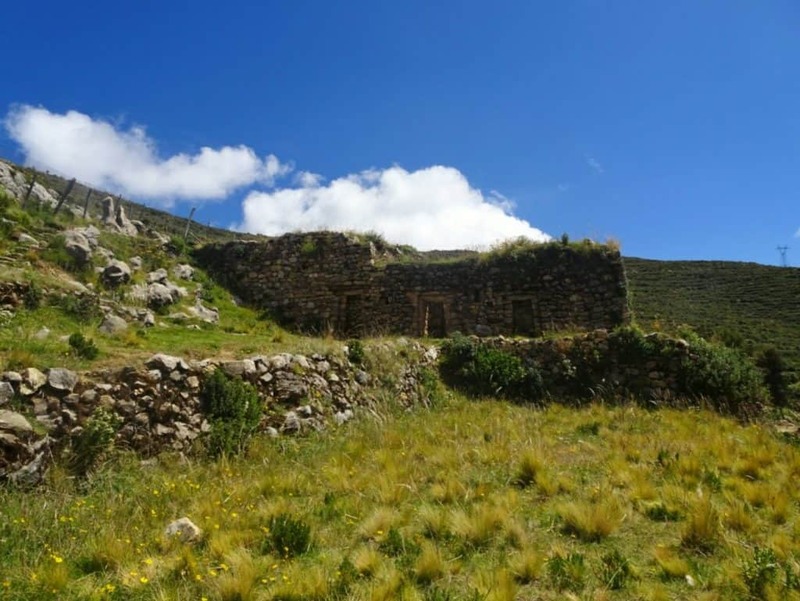 Another day, I visited La Horca del Inca, a smaller hill on the other side of town, which holds some Inca ruins. Again, I had it mostly to myself and could just sit around up there for as long as I liked. After the hustle of La Paz, this was exactly what I needed. No pressure, no stress, not even the need to go sightseeing or exploring. Just enjoying the calm and the serenity of this place. Bring a book, find a quiet place, and enjoy your alone time! I ended up staying one night longer in Copacabana than I had planned because I just didn’t want to say goodbye to this place. It’s still one of my highlights of the whole trip. 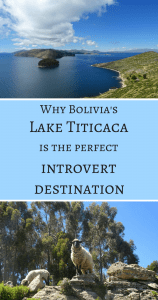 There are few places that can match Lake Titicaca in beauty, and my introvert soul was soaking up its special atmosphere in big gaps. Copacabana turned out to be exactly what I needed when I needed it. Which is not to say that you can only come here when you’ve been run out of all your energy reserves. 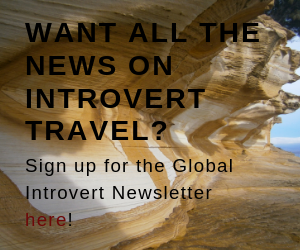 On the contrary, having some downtime in a place like this is always a good idea, especially for us introvert travellers. It just helped me to appreciate even more the beauty of doing absolutely nothing. 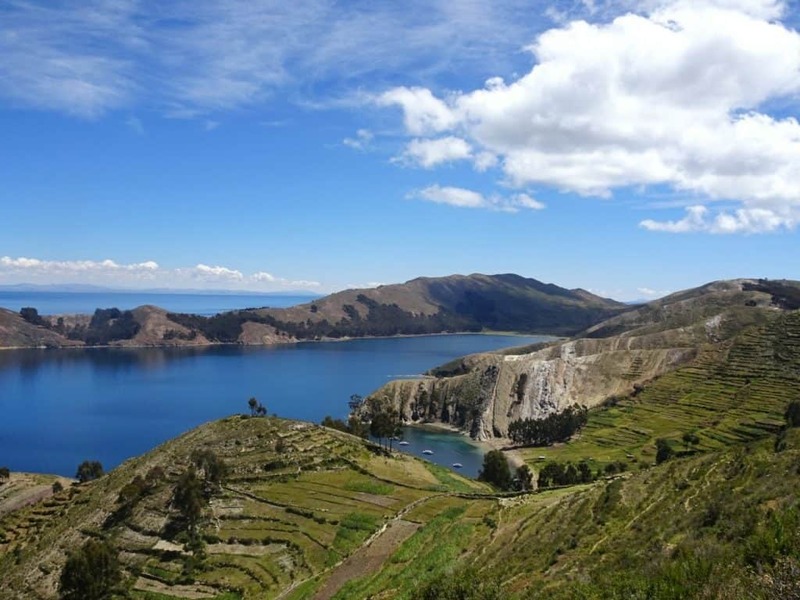 Have you been to Lake Titicaca? Do you know any other places with such a peaceful atmosphere? Share in the comments!